A first client meeting can be a little bit like a cross between a first date and job interview. 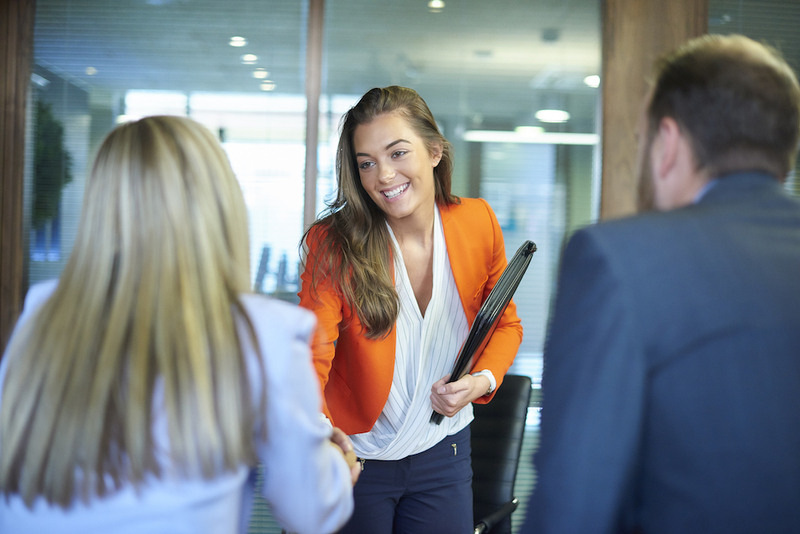 You need to make a great first impression and lay the foundation for a successful long-term (albeit a working) relationship, whilst also conveying professionalism, expert knowledge and in-depth experience. As you make the way through the ranks of a law firm, you’ll more than likely be asked to set up meetings or coffees with clients, often as part of your personal and professional development. Client meetings become more frequent as you take on more senior roles, particularly when you become a senior associate, or reach a level at which you are expected to regularly interact with clients. Unfortunately, lawyers receive little or no training in business development—they are expected to possess an innate ability to sell their services. Lawyers regularly tell me that, while they managed to secure a meeting with a coveted new client, once they were actually sitting in front of the client, they didn’t know what to say. Small talk reigned, but there was no mention of services or contracts or new work. And, without business development training, many of these lawyers continue scheduling random coffee catch-ups without any real plan of attack. Whilst this ‘cross-your-fingers-and-hope-for-best’ approach may lead to new work, there are two key elements to ensure that you handle yourself like a pro at your next client meeting. Know why you are scheduling the meeting and what you want to achieve. Think about an outcome or an action plan. It may be as simple as asking the client for an opportunity to prove yourself, or inviting the client to attend a relevant seminar or event. Know who you are meeting. It may sound simple, but the more you know about the person you’re meeting with before you arrive, the easier it will be to establish rapport. These days, background research is easy: check their company’s website for their bio, take a look at their LinkedIn profile, or ask one of your team members for inside information. Know what questions you want to ask. Compile a list of questions before the meeting—it’s much easier than making them up as you go along. Pre-prepared questions will help you focus the meeting on your desired outcome, and ensure you get the optimum result. Do not fall into the trap of ‘the pitch of everything’. As alluring as it may seem, don’t fall into the trap of explaining every single service that you provide. While it might be great fodder for small talk, plugging all those awkward silences in the conversation, the services the client really needs end up completely lost. Instead, find out what the client really needs. Ask them what their objectives are, what they’re currently finding challenging, where their greatest opportunities lie, who their competitors are. The more you ask, the more you listen, the more you learn. Only once you understand the client’s needs, should you start discussing your services. And, when you do start discussing your services, highlight only the services that the client actually needs; not every singly service you’re able to offer. Tailor your services according to the client’s needs.